Sour Gin is so adaptable; The sourness of this Cocktail can be adjusted to create the Cocktail just how you would like it - to your own taste. A unassuming and ingenuous combination of Gin, simple syrup (sugar water) and lemon juice are the prime ingredients for this classic Cocktail. For added sweetness - add more simple syrup; for added sourness increase the lemon juice and for a more powerful 'kick' adjust the Gin. Place all the ingredents into a Shaker along with cubed ice. Shake. Strain into an ice-filled Cocktail Glass. The origins of the Sour Gin Cocktail can be traced back to the late 19th Century. 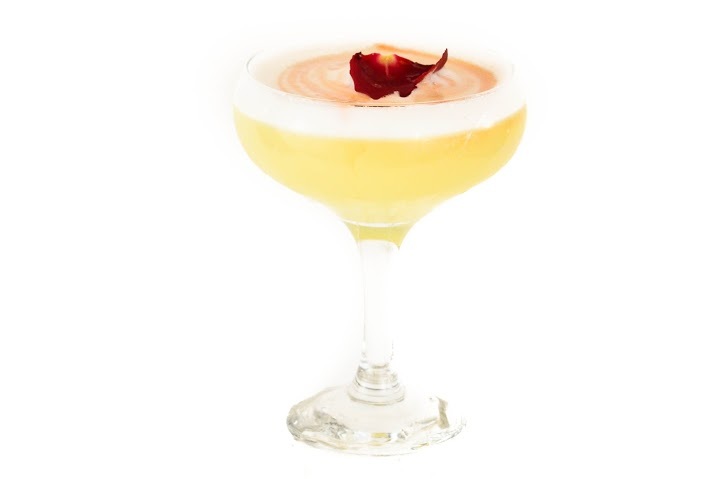 Using the incredibly simple formula of Gin, sugar and lemon juice, it can and has been adapted to create all manner of spin-offs of Cocktails. Adding Soda (carbonated) water adds a sparkle - and is called a "Gin Fizz". Substituting Vodka for Gin, Triple Sec for simple syrup and lime for lemon - the now classic "Kamikaze" Cocktail was created. The Sour Gin is a very versatile Cocktail. If at your party one ingredient is not available or has simply 'run-out', substituting for another, will not ruin the Cocktail, in fact if you are inventive enough, you may have discovered or invented a 'new' Cocktail.